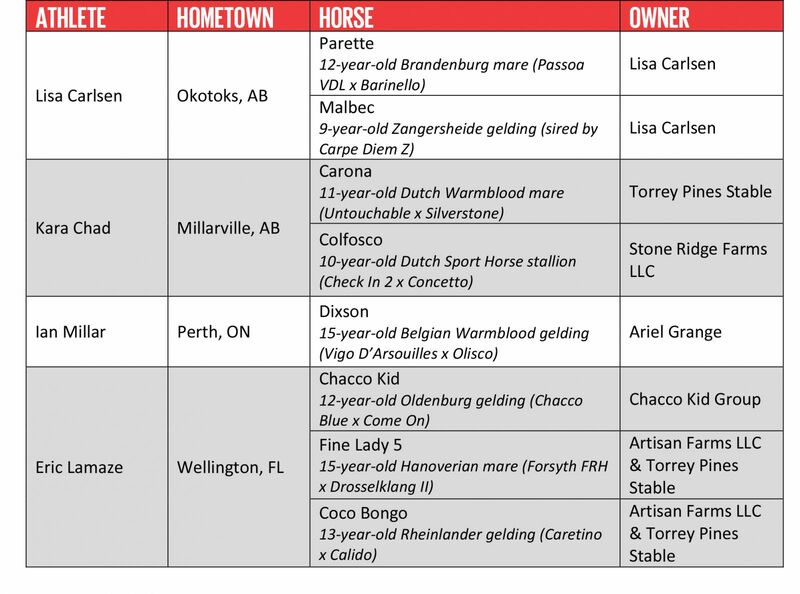 The Canadian Show Jumping Team members have been confirmed for the prestigious $460,000 BMO Nations Cup during the CSIO 5* Spruce Meadows ‘Masters’ Tournament, set for Sept. 5-9, 2018 in Calgary, AB. The BMO Nations Cup has been a highlight of the Spruce Meadows ‘Masters’ Tournament since 1977. The Canadian Show Jumping Team has claimed victory twice, in 2006 and 2014, and earned third in both 2015 and 2016. Most recently, the team finished fourth in 2017. A full television broadcast schedule of Spruce Meadows events, including the BMO Nations Cup, can be found at www.sprucemeadows.com/tvmedia. In addition, livestreaming will be available at www.cbcsports.ca. For more information on the BMO Nations Cup and the Spruce Meadows ‘Masters’ Tournament, visit www.sprucemeadows.com/tournaments.